The 141st running of the Kentucky Derby (gr. I) (VIDEO) is in the record books, and already plans are being made by the connections of the Derby starters to determine where their horses will run next. To help dissect the performances of each horse, and help determine what impact their performances might have on future races, here is a horse-by-horse recap of what transpired in the Derby! The Derby favorite did almost everything right, tracking a modest pace while racing wide, bidding for command on the final turn, and drawing clear of Firing Line to win by a bit more than a length. Granted, he wasn’t running very fast at the finish—the final quarter-mile and half-mile were timed in :26.57 and :51.73, respectively—but I think that had more to do with the tiring conditions of the track than a lack of ability to handle the distance. In any case, the final time of 2:03.02 was good for a Beyer of 105, and with only three races under his belt this year, there should be plenty more left in the tank for the Preakness Stakes (gr. I) in two weeks. Given how well Firing Line ran, it’s really a shame that there couldn’t have been more than one winner of the Derby. After tracking the pace for the first seven furlongs, Firing Line made a determined bid to challenge Dortmund and finally got the better of his rival, but couldn’t quite hold off American Pharoah in the final furlong. His tactical speed and determination should make him a major contender once again in the Preakness, although given that he’s been racing with six to seven weeks between starts, it’s fair to question if he can fire off another big effort on just two weeks of rest. Martin Garcia made a bold tactical decision to seize the early lead and it almost paid off, as Dortmund was able to get away with setting a modest pace before tiring slightly in the final quarter-mile to finish three lengths behind American Pharoah. Trainer Bob Baffert indicated that Dortmund will likely run back in the Preakness, where I believe the shorter distance and less tiring track could enable him to turn the tables on American Pharoah. He broke a step slowly and found himself near the back of the pack early on, but put in a big rally on the final turn while racing wide and kept plugging away in the homestretch to just miss third place. Given the wide trip and modest pace, this was a solid effort, but I was a little disappointed that he wasn’t able to close more ground through a final quarter-mile timed in :26.57 seconds. His connections have mentioned that the Travers Stakes (gr. I) in August at Saratoga is the primary goal, but a run in the Belmont Stakes (gr. I) could still be a possibility. If he does run in the Belmont, I would hope to see him utilize the tactical speed that he has shown in past races to secure good early position, as his current late-running style has not historically been successful in the Belmont. After sitting a few lengths off the lead through the first seven furlongs, Danzig Moon was put to a drive on the final turn and kept on courageously, clinging to fifth place over a group of late-runners to secure the last piece of the Derby purse. This was another solid step forward from an improving colt, and his nice blend of tactical speed and stamina should serve him very well in the future. The Preakness has been mentioned as a possibility for his next start. In my opinion, he had the toughest trip of any horse in the Derby, as he had to completely shift his running style after breaking slowly and finding himself way off the early pace. He appeared to be out of contention after losing position on the final turn and dropping back to seventeenth place, but in the final quarter-mile, he unleashed an eye-catching rally to get up for sixth. He was running faster than anyone else in the final sixteenth, and galloped out strongly after the finish. Considering his inexperience—the Derby was only the fourth start of his career—I think his performance was pretty remarkable, and if he comes back in five weeks for the Belmont Stakes, I believe his strong pedigree, tactical speed, and raw talent will make him a primary contender to win. Here’s another colt that put in an eye-catching rally from the back of the pack. After advancing steadily on the final turn, he was forced to steady several times while shifting paths in the homestretch, but once in the clear, he finished well to cross the wire just a length behind Materiality. However, it should be kept in mind that Keen Ice lacks early speed and always races at the back of the pack, and the Derby—with its final half-mile in :51.73—provided a perfect opportunity for him to close ground against tiring horses. His next start will likely come in the Belmont Stakes, but beware—although his late-running style suggests he will relish the extra distance, deep closers rarely fare well in the Belmont, and horses with more tactical speed, like Materiality, tend to have the advantage. The UAE Derby winner ran a very even race, securing good position in mid-pack early on while saving ground before producing a mild rally to get as close as sixth place in the homestretch. He did flatten out a bit in the final furlong, but it was a respectable effort for his first start in the United States. With a bit more time to acclimate to his new surroundings, he could be an overlooked contender for the Belmont Stakes, where the expected slower pace could enable him to stay closer to the early leaders. Another colt that ran a very even race, settling about seven or eight lengths off the lead after being jostled around in the opening furlongs before staying on fairly well in the stretch to be beaten 10 ¼ lengths. He clearly rebounded from his poor showing in the Florida Derby, but is probably a cut below the very best colts of his generation at this time. Still, this colt has accomplished a lot in a relatively short amount of time, and a race like the Haskell Invitational (gr. I) could be a good spot to test the waters against top company once again. He was well-positioned early on in fourth place, tracking the pace while saving ground, but failed to respond when put to urging on the final turn and he tired steadily to finish tenth. Given the strong form he had demonstrated leading up to the race, his performance was definitely a disappointment, but it’s possible that he didn’t handle the tiring track, or didn’t enjoy racing inside of horses. He is being considered for a start in the Preakness, but also looks like an excellent fit for the Haskell or Jim Dandy Stakes (gr. II). The also-eligible that drew into the race showed little speed early on before rallying wide into the homestretch to get up for eleventh place, beaten a dozen lengths. He is targeting the Belmont Stakes, but while his grinding style suggests that the distance won’t be a problem, his lack of early speed will likely put him at the rear of the field in a race that favors front-runners and pace-pressers. Bolo ran into trouble during the first quarter-mile, where he was bumped around pretty severely in between horses, then settled a couple lengths off the lead before gradually fading out of contention. Although he’s run well on dirt, turf is probably his true calling, and the ten-furlong Belmont Derby (gr. I) on the grass at Belmont in July has been mentioned as a possible target. Mr. Z’s race was pretty much over in the first quarter-mile, as he found himself in tight quarters in between horses and had to be checked hard several times while being bumped around. Watching the race, I was holding my breath hoping he wouldn’t fall, which says something about how severe his troubles were. He finally got into the clear entering the first turn, but was hung wide throughout the race and tired steadily to be beaten just over fifteen lengths. On paper, he probably needs a rest after running every single month dating back to last June, but his Derby effort really wasn’t that bad given the trip he endured, and I wouldn’t be shocked if this veritable iron horse came back in the Preakness and turned in a respectable performance. He turned in an admirable performance as a longshot, avoiding much of the traffic in the first quarter-mile while saving ground and putting in a solid run around the far turn to be in fifth-place at the top of the stretch. He did tire thereafter, but all told, I thought this was a really solid effort from a colt that probably didn’t handle the distance, and I’m looking forward to seeing where he turns up next. As expected, Far Right dropped back to last place early on, but was compromised by the modest early pace and failed to put in a serious rally. After entering the homestretch extremely wide and failing to respond to urging, Far Right was eased up slightly in the last sixteenth by jockey Mike Smith, and might have been able to record a marginally higher finishing position if urged hard all the way to the wire. It was a bit of a disappointing run from a talented colt, but if he shortens up in distance next time out and finds a faster pace, I would expect to see Far Right rebound sharply. He had a pretty clean trip other than checking in between Frosted and Materiality coming by the stands for the first time, but failed to fire after saving ground throughout. Prior to the race, many handicappers questioned whether War Story could get the distance, and after watching him tire in the homestretch despite an ideal trip, I think that ten furlongs was probably too far for him. A cutback in distance should see a much-improved effort from this colt, and the 8.5-furlong Matt Winn Stakes (gr. III) at Churchill Downs next month looks like a great spot to get back on track. The Wood Memorial runner-up was severely jostled in traffic during the first quarter-mile and appeared uncomfortable racing inside of horses. He did manage to secure a decent early position a few lengths off the lead, but steadily retreated throughout the race and was eased up in the final furlong. However, given the traffic he encountered early on, I would excuse his poor performance and judge him on his previous form when he runs again. He endured a wide trip from post 17 and could never really present a challenge, tiring badly in the homestretch before getting eased across the wire. It was his first off-the-board finish from eight starts, which includes six graded stakes races, so he clearly ran below par on Derby day. Perhaps his game efforts over tiring tracks in the Fountain of Youth (gr. II) and Florida Derby (gr. I) caught up to him, but regardless, it seems best to forgive this performance and assume that he will rebound with rest. The Haskell in July seems like a logical target. 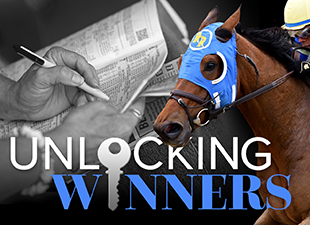 Before wrapping up this post, I would like to take a moment to thank all of the Unlocking Winners readers for making this such a memorable road to the Kentucky Derby! In particular, I would like to thank you all for taking the time to share your thoughts and debate the races and participate in our informal contests, and I also thank you for your enthusiasm and dedication in propelling my last blog post to more than 2,500 comments—that was amazing! On to the Preakness!